Add 1 tbsp of honey to a large glass. 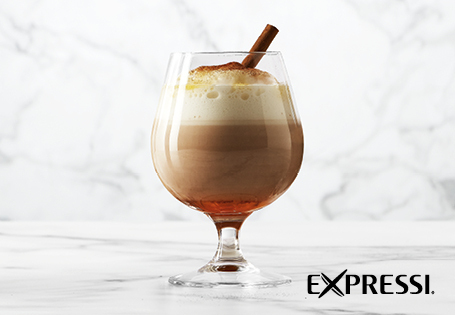 Prepare Expressi Classic Chai Latte to instructions and gently pour it over the syrup. Top with frothed milk, then drizzle over the remaining agave. Sprinkle with cinnamon and chilli powder, and finish with a cinnamon stick to stir.